The Husqvarna T540XP ® is designed for the high-end top handle saw segment, targeting professional customers like full pro arborists, landscapers, garden contractors and utility services who need excellent performance in combination with the best ergonomics. Husqvarna T540XP – NOW In Stock in Edison, NJ – Call Today!!!! 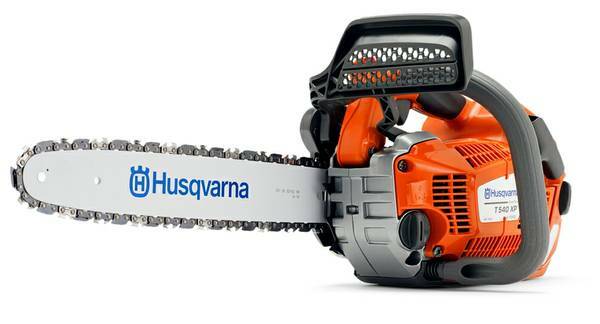 Huge Inventory of Husqvarna T540-XP Chainsaws – Authorized Service Center to perform maintenance. Certified Trained Technicians. We have the computer to Re-Calibrate the Auto-tune feature if needed. These gas powered chainsaws are fitted with X-Torq® technology that delivers lower fuel consumption and reduced exhaust emission levels in accordance with the world´s most stringent environmental regulations, a quick-release air filter that makes cleaning and replacement of the air filter easy, and a centrifugal air cleaning system for reduced wear and longer operating time between filter cleanings. Husqvarna T540XP ® chainsaws are also as easy to use as they are to maintain, fitted with effective LowVib® anti-vibration dampeners, sparing the user’s arms and hands, the top handle grip size can be set in three alternative sizes, to perfectly fit your hand, and the light (18 % lighter) yet strong TechLite™ bar makes the saw easier to maneuver. 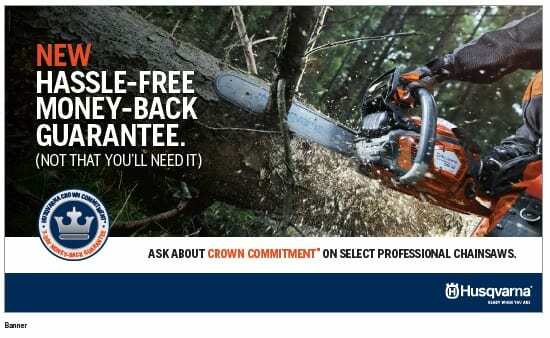 The Husqvarna T540XP chainsaws also feature a horizontal rope eyelet, that makes it quick and easy to connect the saw to the climbing harness, ideal for arborists. Husqvarna T-540XP – NOW In Stock in Edison, NJ – Call Today!!!! $649.95 MSRp – Now on sale – Call for Pricing – We ship anywhere. AutoTune– AutoTune gives optimal engine performance throughout automatic engine setting. No time spent on carburetor adjustments. It compensates for different fuels, altitude, humidity, temperature and clogged air filter. X-Torq Engine – Deliver lower fuel consumption and reduced exhaust emission levels in accordance with the world´s most stringent environmental regulations. Individual grip size – The top handle grip size can be set in three alternative sizes, to perfectly fit your hand. Belt eyelet – Makes it quick and easy to connect the saw to the climbing harness. TechLite Bar – The light and strong TechLite™ bar makes the saw easier to maneuver. This bar is up to 18 % lighter compared to a conventional bar. Air Injection – Centrifugal air cleaning system for reduced wear and longer operating time between filter cleanings. Flip-up tank cap – The flip-up tank cap is easy to open. We have the computer, software and connection cables to Re-Calibrate the Auto-tune feature if needed. We can repair, install firmware updates, provide warranty service or just provide maintenance on all Husqvarna saws. From Homeowners to professionals, we do it all. Gamka is an Authorized Husqvarna Dealer. 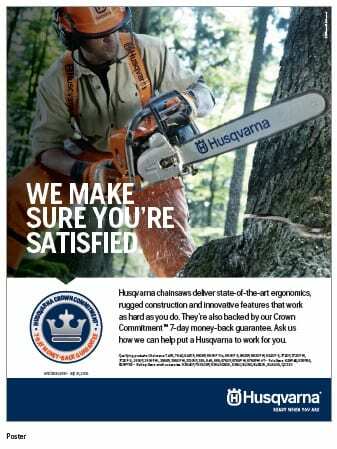 We are a Certified Repair and Warranty Center for all Husqvarna equipment. Call us at 732-248-1400 for the best prices on Husqvarna Power Chain Saws for the Professional Contractor.